Tagline- We’re Friends Till the End. Remember? 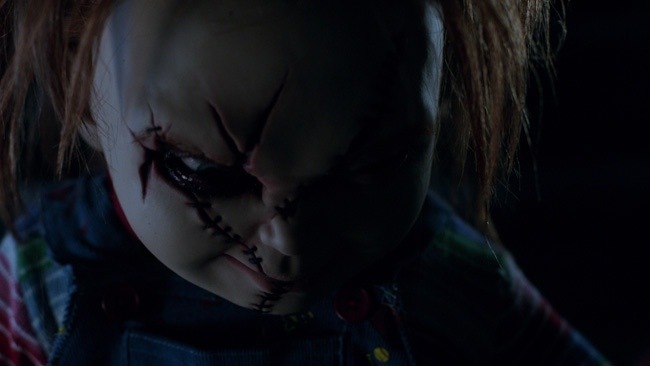 Curse of Chucky is the 6th film in the Child’s Play franchise and the first since 2004 when Seed of Chucky was released. Curse of Chucky is also the first to get a DTV release as the previous five all had a theatrical release. 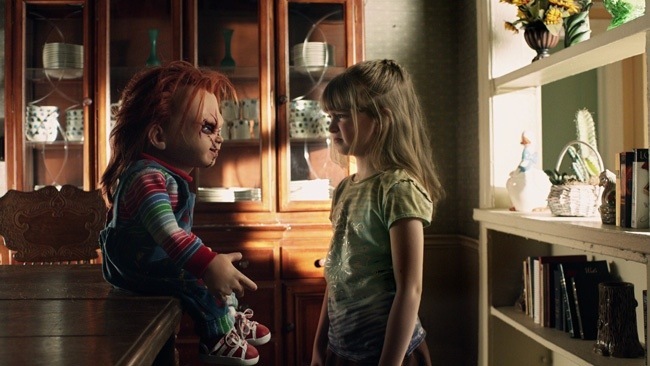 Seed of Chucky kind of got mixed reviews as some felt it went for far too much comedy, but I didn’t mind to be honest. The Child’s Play series never scared me and I know a lot of people have that fear of their doll coming to life, but I never felt the series was very scary and while the original is an excellent horror film with legit suspense and the best of the series I felt the sequels kind of lacked that, but were made up for in comedy. 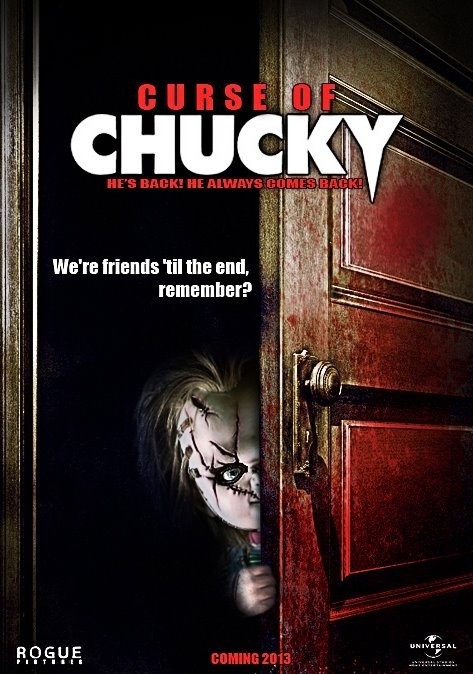 So for me I quite enjoyed the campy and satirical nature of Seed of Chucky, but here with Curse of Chucky, Don Mancini takes the franchise to its roots and like the original there are comedic moments, but it goes back to attempting a legit horror film and I found results to be a bit mixed this time around. There are two surprise appearances with one coming in the final act and the other coming after the end credits. Reviews for Curse of Chucky have been excellent and while I liked the film I personally didn’t think it was as good as many of the reviews for it. I gave it a 3-star rating so I liked the film and I was leaning towards a 3.5, but I found it a little longer than need be and went with the 3 however on another viewing I might bump it up from the 3. I do wonder if perhaps the film being DTV is what led to such positive reviews from low expectations and due to the very poor amount of DTV films out there and Curse of Chucky is a step above most. Like I said with Curse of Chucky, Don Mancini took the series back to its roots and thankfully gave us a sequel rather than a remake. All of the past Child’s Play films are mentioned though there might be a plot hole or two, but I liked how all tied in. The longer a series goes on at some point sequels are ignored and we can have a few different franchises within the franchise. Halloween & Texas Chainsaw Massacre come to mind. 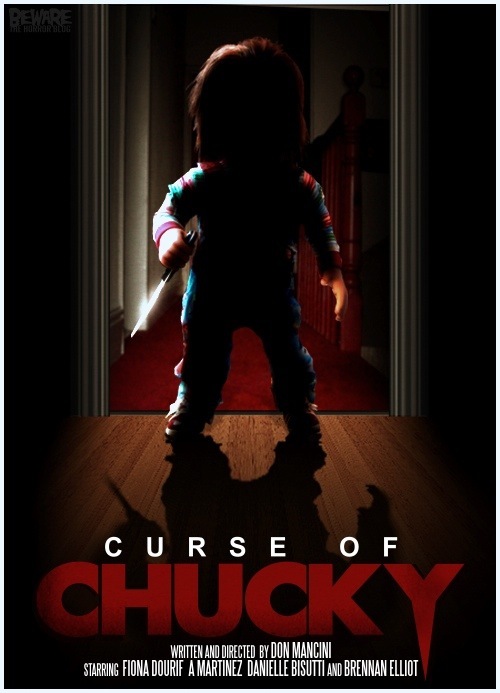 Don Mancini has written every Child’s Play film thus far though the original he co-wrote and the script by Mancini for Curse of Chucky is generally well written with solid characters. Even the original film had comedy, but it was the sequels that upped the ante and this time around there are comedic moments, but are toned down. The one liners from Chucky (Dourif) aren’t as funny this time around, but thanks to the great comedic timing of Brad Dourif they for he most part work well. Curse of Chucky also sort of doubles for a family drama and while this in someways does slow things down I also found it to be the strongest aspect of the script. There is a backstory between the family Chucky is after and while interesting I also wasn’t really into it either. From a writing side of things Curse of Chucky is probably the best since the original. Don Mancini made his directorial debut with Seed of Chucky and returns for this part and seeing as he’s the creator of the series he might be the best suited. 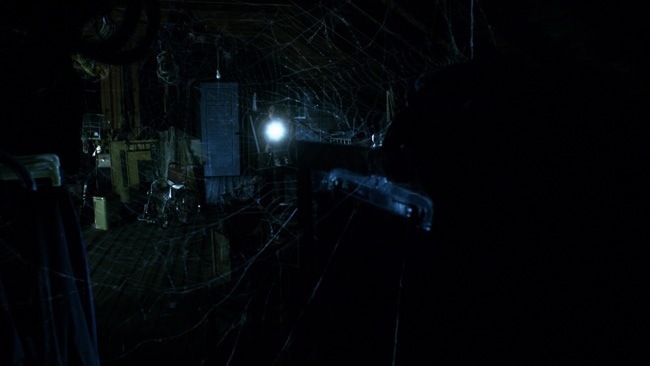 Mancini sets up a gothic type look and visually the film looks quite good as well. There are some decent moments of suspense and there are plenty of fun moments. However the problem is, I felt the pacing was a bit sluggish in spots and at 97-minutes the film is a little overly long. The death scenes are well done with the right amount of gore. The cast is excellent and Fiona Dourif is excellent as Nica. Her performance is far better than most in the horror genre. Fiona seemed to inherit her fathers acting talent. And speaking of her father, Brad Dourif as usual is great, but the only problem is while Chucky is around throughout he doesn’t say much until about the final act. Dourif though like I said is great and he has such a distinct voice that whenever I see him in another film I always think of Chucky. Overall Curse of Chucky was an entertaining film, but I just didn’t like it nearly as much as others. Flaws and all its still a good film and I’m sure fans of the series are bound to enjoy. The two appearances are a lot of fun and will please the fans of the series just remember one of those comes after the closing credits.